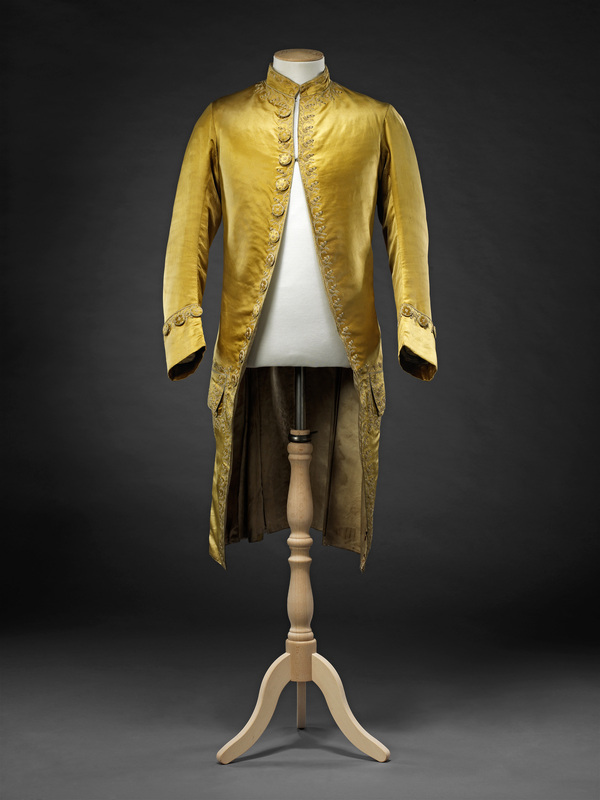 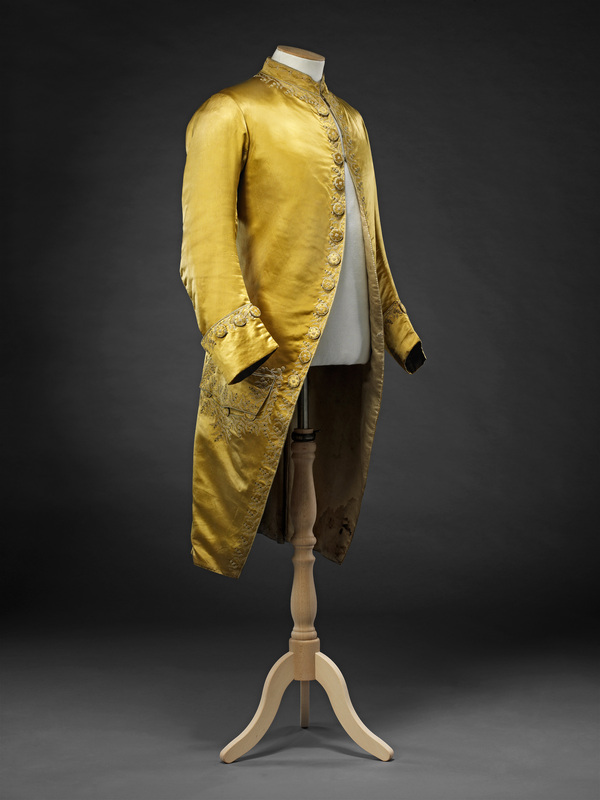 Like the court suit of the 1790s (see Related Item) this formal coat was once part of a suit with matching breeches and a related waistcoat. 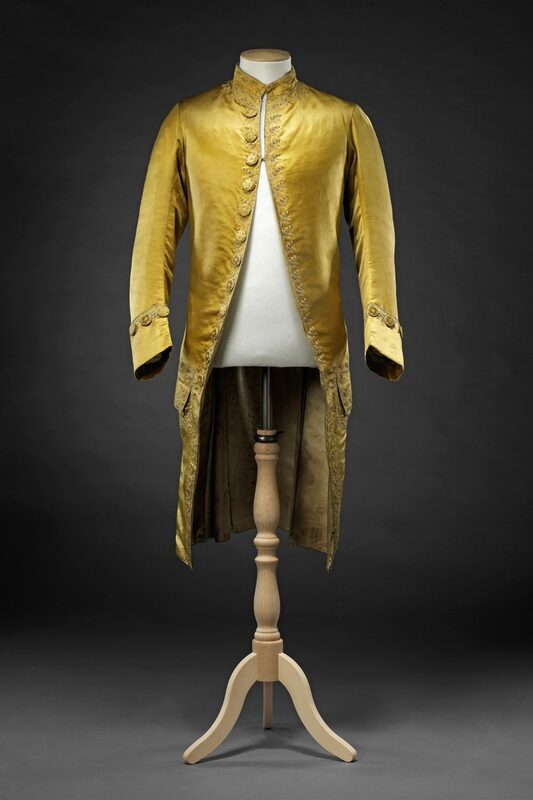 A little earlier in date, and made from a fashionable bright acidic yellow satin, the coat is restrained in its embroidery which is very different in character to that of the velvet coat. 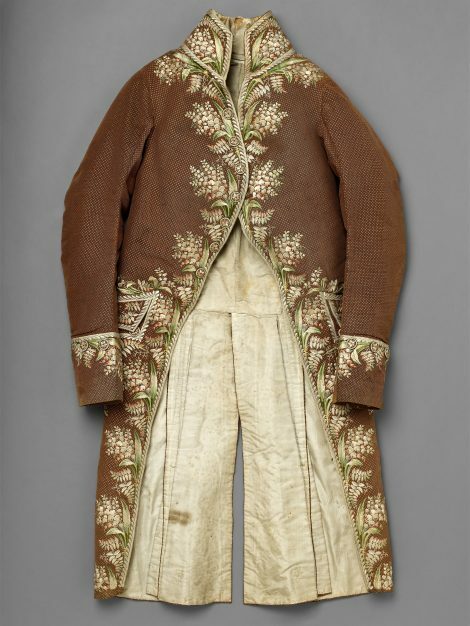 There is no pretence at naturalism, the stylised flowers and foliage serving only as a rhythmically patterned border. 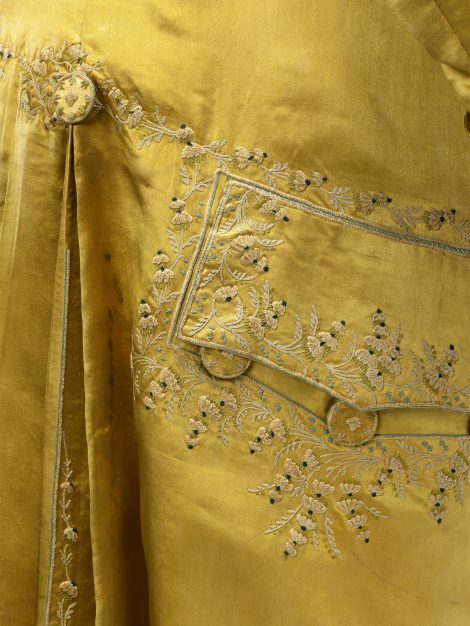 They are executed in tambour work, with the flower heads in chenille, a tufted thread also used extensively in women’s wear, that added a textured, slightly raised appearance to the embroidered. 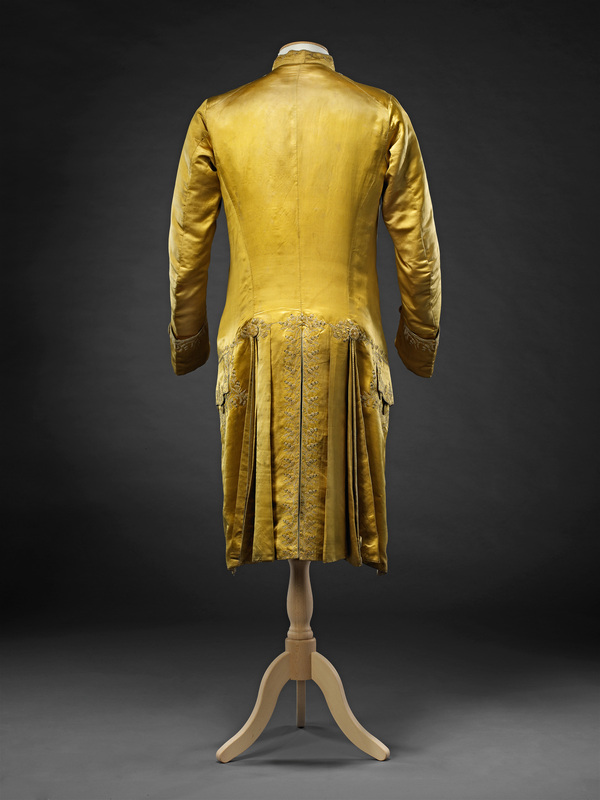 The body of the coat is lined in deep cream satin, the sleeves in linen.